Mercedes Benz New York Fashion Week begins this Thursday, September 9th, 2010 and all shows will be held at its new location, Lincoln Center. While I am excited about the fabulous shows, among other things, I am equally excited, if not more, about the launch of the Fordham Law School Fashion Law Institute, the first in the world. I could get into the significance of what this means for both the legal and fashion communities but thought it made more sense to have my fashion law colleague Professor Susan Scafidi, the brain behind this historical launch, help me out. “Susan Scafidi is the first U.S. law professor to offer a course in fashion law (at Fordham La School) and the author of Who Owns Culture? Appropriation and Authenticity in American Law (2005). Her areas of expertise encompass property, intellectual property, cultural property, international law, trusts & estates, and legal history. Prior to teaching at Fordham, she was most recently a tenured member of both the law and history faculties at SMU and taught at a number of other law schools, including Yale and Georgetown. 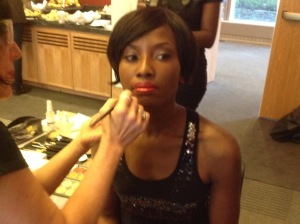 The launch party takes place on September 8th, 2010 at Fordham Law School. FASHIONENTLAW.com: Hi Susan. It was good to finally catch up with you after a long time. How are you? SS: Running in heels! The upcoming launch of the Fashion Law Institute is incredibly exciting, but also terribly busy. Then again, style on the go is the fashion brief for most modern women — am I right? FASHIONENTLAW.com: (Laughs) Definitely. We will get into that very soon. But first, you’ve done remarkably well. First, with your blog counterfeitchic and now the first ever Fashion Law Institute in the world, really. I am excited. CONGRATS! SS: Thank you! Of course, none of this happens alone, and I’ve had tremendous support from the administration, faculty, and staff at Fordham, as well as throughout the legal and fashion communities! FASHIONENTLAW.com: True. Share with my audience a little bit about your background? SS: Nothing too glamorous, I’m afraid — law school and graduate work in history, but always with a few fashion magazines slipped in between the law books and medieval manuscripts, and an enduring professional interest in the unexplored legal questions and anomalies within the fashion industry. FASHIONENTLAW.com: What led you to start your blog counterfeitchic.com? SS: Frustration with the pace of book publishing — it takes months to go from manuscript to something that can be sent out with the holiday cards! After I wrote my first book, I realized that I wanted to share my ideas in a more immediate way, and nobody was exploring issues related to law and fashion. I also hoped to connect with a broader range of people than the few academics who read law journal articles, most of whom think of fashion as merely frivolous — and the blogosphere responded! That being said, I absolutely love books and will certainly explore that creative medium again. FASHIONENTLAW.com: Now you’ve launched a successful blog. At what point, did you decide that there was a need for a fashion law center? SS: It was an organic process and has been several years in the making. On the legal side, there was a tremendous response to the creation of a Fashion Law course, also a first; on the fashion side, there were so many emerging designers with questions. It only made sense to find a way to bring the two sides together and create a center that would provide both education and practical assistance — and the Fashion Law Institute was born. FASHIONENTLAW.com: Before we go further and since I get asked this question a lot (smiles), what is fashion law? SS: Defining a new field of law is a challenge, but I’ve always conceived of it as the legal issues that may arise at every point in the life of a garment, from the designer’s original idea to the consumer’s closet. FASHIONENTLAW.com: I want to return and get into more details regarding the Fashion Law Institute. But, let’s take a minute to talk about your work with the Design Piracy Act. Explain to us what the “fuss” is all about? SS: Unlike aspiring writers, indie filmmakers, or starving artists, emerging designers have little to no intellectual property protection for their work under U.S. law, even though their counterparts in Europe and many other countries do. The result is that copyists can cherry-pick the best new designs, often even before they’ve been revealed to the public, and sell cheap knockoffs even before the real thing is in stores. Obviously this makes it tough for designers to recover their investments and continue what in many other fields we’d call their research and development for the next season. The new Innovative Design Protection and Piracy Prevention Act (I know — it’s a mouthful!) will when passed give designers a brief, 3-year term of protection for new and unique works — and force design pirates to offer variations rather than just slavish copies. No, this law won’t make fast fashion go away; yes, it will mean that former copyists have to hire designers and offer consumers a greater range of inexpensive choices — a win-win for aspiring designers and fashionistas on a budget. I’ve been keeping a file on this issue since 1996, when I was a junior prof, and working actively on the issue for the past 5 years with the Council of Fashion Designers of America, a good part of that time in negotiations over legislative language with the American Apparel and Footwear Association. Now that different parts of the industry have reached agreement on “narrowly tailored” language to protect both designers and manufacturers (not to mention everyone else, from retailers to home sewers), hopefully the bill will quickly become a law. FASHIONENTLAW.com: Now let’s return to the Fashion Law Institute at Fordham. What does this mean for fashion and legal communities? SS: Fashion Law is now a recognized legal field, and both lawyers and designers have a centralized place to seek training and information. It’s wonderful that Fordham Law School was willing to take a risk in first acknowledging Fashion Law and then giving the Fashion Law Institute a home — we’ve gone a bit beyond the usual range of academic tweeds and legal pinstripes! FASHIONENTLAW.com: What exactly does the Law Institute offer for designers and other fashion business owners? SS: Training on legal issues related to the fashion industry, a source of research and information, and a centralized place to seek assistance on specific matters, particularly for those designers who are just starting out and can’t afford legal help. FASHIONENTLAW.com: What about law students? Explain the curriculum? SS: Law students will be able to take not only the basic Fashion Law course but also a range of specific advanced courses in the field, as well as participate in extracurricular activities and — when supervised by practicing attorneys — aid in providing pro bono legal services to designers. FASHIONENTLAW.com: When you graduate from law school with a concentration in fashion law, what does this mean in terms of getting a job? SS: Fashion houses, like other corporations, typically don’t hire right out of law school — but law firms certainly do. 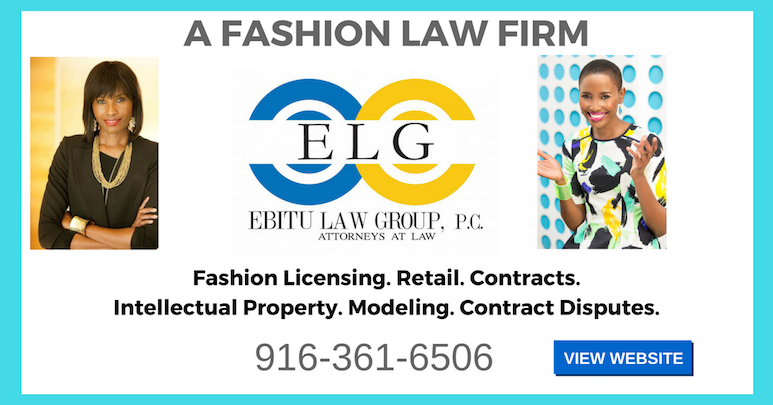 And while designers and fashion houses have always consulted lawyers, a growing number of those law firms are realizing that it makes sense to have a special focus on fashion clients and their particular needs. FASHIONENTLAW.com: You have the backing of one of the most powerful organizations in fashion, the CFDA. How where you able to get Diane Von Furstenberg and the CFDA on board? SS: I’m tempted to say that great minds think alike! But, as is always the case in the design world, you’d have to ask Diane and CFDA executive director Steven Kolb about their “inspiration.” I think that I can safely say we all believe that this is a great step forward for both law and fashion. FASHIONENTLAW.com: I know the launch party is right around the corner. What are some of your planned activities? SS: It’s a law school event, so nothing too wild — essentially the morning version of a cocktail party, with a few brief speeches, a “business fabulous” dress code, and a lot of good wishes all around. With New York Fashion Week moving to Lincoln Center, right next to Fordham Law School, it’s also a wonderful way to kick off the new season. FASHIONENTLAW.com: Many thanks Susan. Bravo. Impressed. I know it’s not easy. Thank you for just being the trailblazer you have always been. SS: Right back at you, Uduak! It’s wonderful that smart lawyers who love fashion can finally come out of the closet! FASHIONENTLAW.com: (Laughs) You don’t say!